· Lockable so it follows the cursor. Written instructions for using the features of both programs are shown here but there are many videos on YouTube which explain the features of T-Bar. The T-Bar icon is a blue raindrop with two smaller raindrops each side of it. You can also download and install T-Bar for free on your home computer. 1. When T-Bar first starts up a movable coloured overlay will appear on the screen. 2. You can move the coloured overlay by clicking and dragging it to the position you would like to see it. 3. Alternatively you can lock the T-Bar in place. 4. 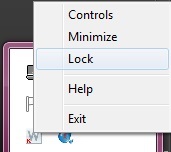 To lock the T-Bar, right click on the T-Bar icon and select lock. 5. This allows the T-Bar to be moved only using the keyboard arrow keys as you read the text. 6. Clicking outside of the T-Bar area will automatically unlock it and allow it to be moved using the mouse as before. 1. To change the colour and saturation of the T-Bar, right click the T-Bar icon located on the taskbar on the bottom right of the screen. 3. Another window will come up with an array of colours. Select a colour that suits your needs. 4. You can also change the colour more subtly using the RGB adjustment options at the bottom of the pop up window. 5. You can also select the saturation from the sliding scale underneath the colours. This changes the opacity of the T-Bar. 6. Click done at the bottom of the window when you feel it is suitable. 1. To change the height and width of the T-Bar, right click the T-Bar icon located on the taskbar on the bottom right of the screen. 3. Another window will come up. At the top of this window there are three different tabs. Select the bar options tab. 4. Using the sliding bars, click and drag the width and height to those that suit your needs. 6. Sliding the height bar to the far right sets the height to extend across just over half the screen, as shown below. 7. 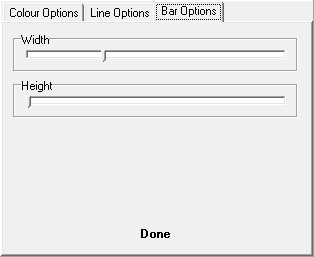 When you have resized the T-Bar to a suit your requirements, you can click ‘done’ at the bottom of the window to save your changes. 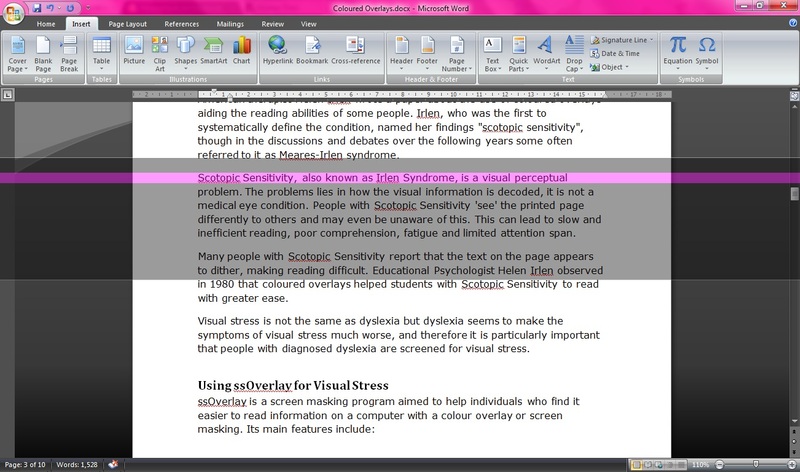 Using the line option within T-Bar allows you to keep track of the line of text you are reading. 1. To add a line to the T-Bar, right click the T-Bar icon located on the taskbar on the bottom right of the screen. 3. Another window will come up. At the top of this window there are three different tabs. Select the line options tab. 4. With T-Bar you can have a maximum of 2 lines. To add a second line to your T-Bar, click on the Lines button once. Click again to add a second line. A third click returns it to no lines. 5. 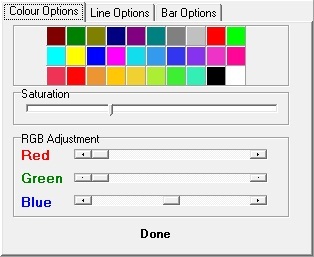 At the bottom right you can select the colour that you’d like the line or lines to be. If you have 2 lines they will both be the same colour. 6. The left hand side of the window changes the position and height of the first line. 7. The right hand side of the window changes the position and height of the second line. 8. The position option moves the line up and down the T-Bar as you click and drag the sliding scale from left to right. 9. The height option thins or thickens the line on the T-Bar as you click and drag the sliding scale from left to right. 10. When you have changed the settings to suit your needs, click the done button at the bottom of the window to finish. 11. When you no longer need the T-Bar open, just right-click on the T-Bar icon on the taskbar at the bottom right of the screen and click exit. 12. As with ssOverlay, the T-Bar remembers your previous settings.